They took good care of my dad's car. Bought our 3rd & 4th vehicles from Brandon, last week. Headed to Florida next & super stoked, but gonna be sad we can't trade-in with these guys, again. Had a blast even being up there for 6 hours or two trade-ins. Brandon and David (I think?? The guy that goes over vehicle features) were awesome, manager was awesome, the ladies at the desks behind Brandon were awesome, the finance paperwork guy was awesome. We love that place. 100% recommend. 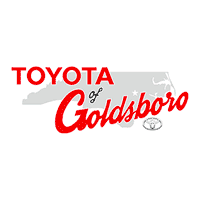 Buying my 19 Corolla here at Toyota of Goldsboro was the best decision! Great customer service and Internet sales manager, Tim Woodard was great and understanding. He knew exactly what he was going and worked diligently to get the numbers I could work with! Ask for Tim if you want a great, fast in and out deal! I 100% recommend!